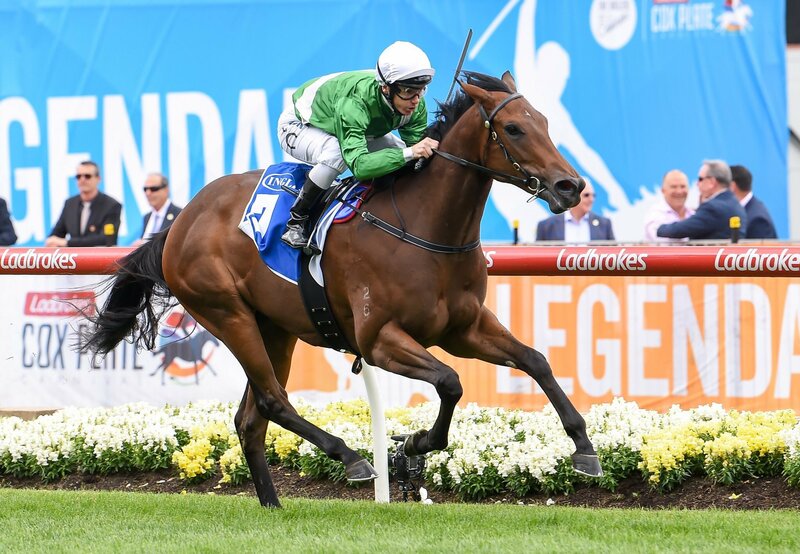 I Am Invincible filly Espaaniyah is the first horse eligible to claim the new $3m Inglis Triple Crown following her win in the Inglis Banner at Moonee Valley on Saturday. 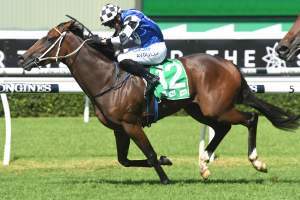 Espaaniyah ran her rivals off their feet at her racetrack debut in the $500,000 Inglis Banner, scoring a comfortable two length win in the 1000 metre dash. 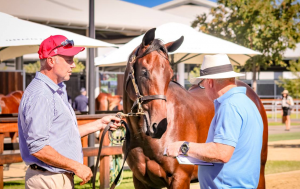 The $750,000 Emirates Park buy from the Tyreel Stud draft at the 2018 Inglis Australian Easter Yearling Sale will now be spelled by trainers Gai Waterhouse and Adrian Bott, before targeting potentially the richest autumn for a 2YO in Australian racing history. 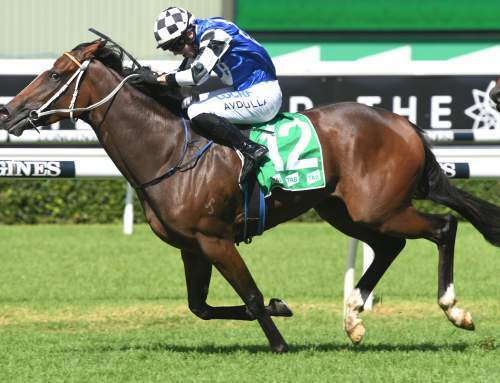 To win the Inglis Triple Crown and a $3m bonus, a horse must win EITHER today’s Banner OR the Inglis Nursery (Randwick, Dec 15), AND the $2m Inglis Millennium (Warwick Farm, Feb 9) AND the Group 1 Inglis Sires (Randwick, April 6). 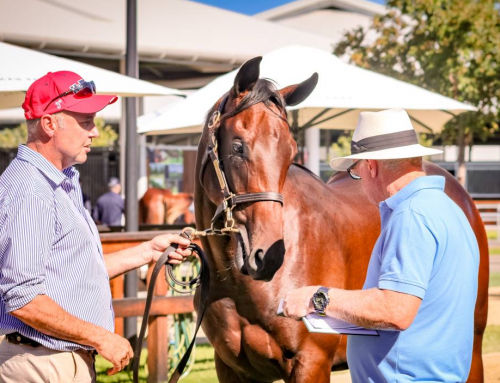 “It’s something we’re definitely interested in,’’ Bryan Carlson, representing owners Emirates Park, said. Espaaniyah, bred by Wallings Bloodstock, was one of three horses Emirates Park purchased at this year’s Easter Sale. 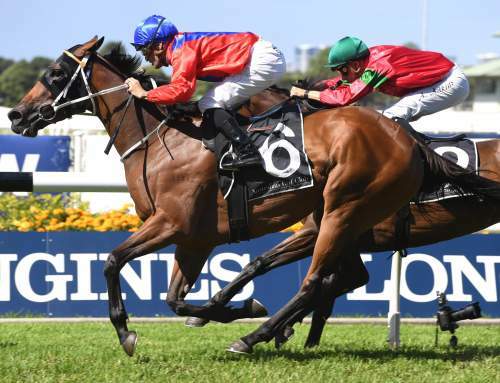 It’s proven a rich hunting ground for the world-class judges, having sourced recent Golden Slipper winners Estijaab (2018 Slipper) and Mossfun (2014 Slipper) from the same sale. “When we saw her at the Easter Sales she had that presence, that athleticism and she showed that today,’’ Carlson said. “We’re trying to find those athletic fillies but also those that have the mentality to run early and continue on as a 3YO. Vendor Linda Monds of Tyreel Stud said the staff at the farm gathered around a television to watch the race together today. 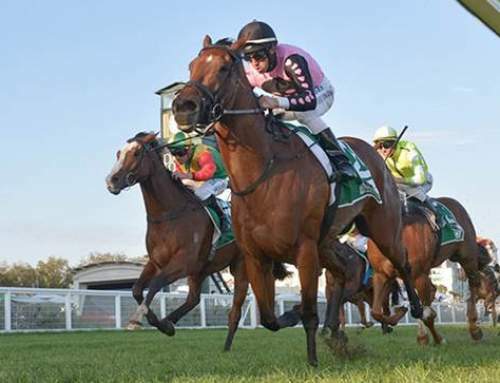 “The champagne started flowing pretty early, it’s a dream result for the farm,’’ Monds said. “She was our most popular horse at Easter, not only because she was an outstanding physical specimen, but she had the pedigree to back that up. 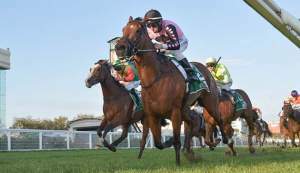 Espaaniyah is the first winner for stakes-placed Flying Spur mare Catalonia, a three-quarter sister to Group III winner Jorda.